At Pacific Watersports, we love hosting events for Hens parties and Bucks parties. Why? Cos we know you are all out to have the most fun possible. So we prepare for the event. Whether it’s the KAYAK TURTLE TOUR, KURANDA RAINFOREST EXPERIENCE, PADDLEBOARDING at Palm Cove Beach or having a go at KITESURFING, we guarantee a memorable event. And if you are keen for us to throw in a few pranks, we can certainly play along with that. When it comes to running events that are fun, we are very flexible. Because we offer a wide variety of activities, we can chop and change to suit the weather conditions. For example, Your Bucks party or Hens Party may be a kayak turtle tour. If it gets too windy, we can change the plan and head up to Kuranda for an incredible rainforest paddleboarding experience. Feel free to call us to discuss your next Hens or Bucks Party. You can also go ahead and book through our website. There are loads of things to choose from. Once you have booked, one of the crew from Pacific Watersports will give you a call and we will give you the low down on what to expect. If you have any special needs or requirements for the party, just let us know and we will work through it with you. Say for example it is too windy to do a kayak turtle tour. No problem! If you are flexible, we will do something else just as exciting. 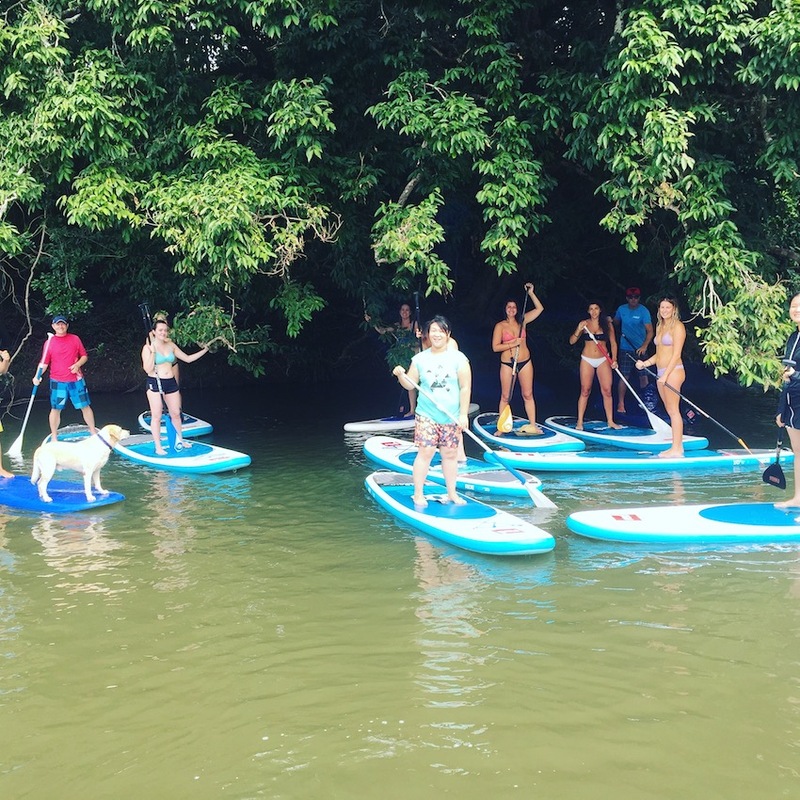 The Kuranda Rainforest Paddleboarding Experience is just as exciting and is always a good alternative. We have transportation for up to 11 people also.